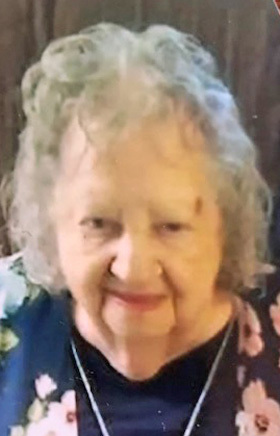 SALEM – Dorothy Mae Crawford, 90, died at 6:20 p.m. Tuesday, Dec. 4, 2018, at Salem Regional Medical Center. She was born June 20, 1928, in Monaca, Pa., the daughter of the late Mike Sr. and Sophie (Trella) Paster. Dorothy was a member of St. Paul Catholic Church and enjoyed being around her family. Her first husband, Pete Sanlo, preceded her in 1957. Dorothy’s husband, Noah Crawford, whom she married March 13, 1965, preceded her Oct. 5, 2010. Survivors include three daughters, Janet Keglor, Paula (Steve) Wright and Tammy (Scot) Jackson all of Salem; stepson, Gary (Janet) Crawford of North Carolina; stepdaughter, Thelma Jean (Al) Green of Texas; three sisters, Helen Enders, Betty Horning and Carol (David) Whaley, all of Salem; a brother, Paul (Gloria) Paster Sr. of Salem; several grandchildren and great-grandchildren. Besides her parents, an infant son, Pete Sanlo Jr.; a daughter, Beverly Barker; a son-in-law, Paul Keglor, Sr.; and two brothers, Mike Paster Jr. and Steve Paster, preceded her in death. A Mass of Christian Burial will be held at 11 a.m. Friday, Dec. 7, 2018, at St. Paul Catholic Church with Father Robert Edwards officiating. Calling hours will be held from 9:30 to 10:30 a.m. Friday at Stark Memorial Funeral Home. Interment will be held at Grandview Cemetery. Dorothy’s obituary may be viewed and condolences sent online at www.starkmemorial.com.